Interested in purchasing the top products in the Hydro-Flight industry? Purchase them right from our online store today! Join the group of successful fliers ranging from ages 13-70! 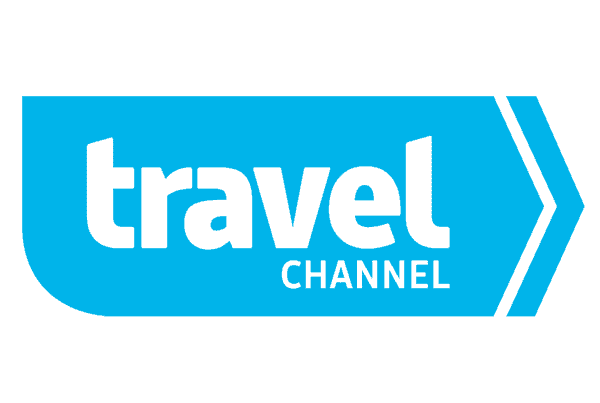 Book a Flyboard, Jetpack, or Hoverboard experience online by clicking the button below! Our professional instructors will teach you the basics in 5-10 minutes. Do you have a passion for water sports or just want to make a living doing something fun and exciting? We can help you get started in no time! It all starts with filling out the Rental/Dealer inquiry form. Once you have filled out and completed the form a representative will contact you shortly! 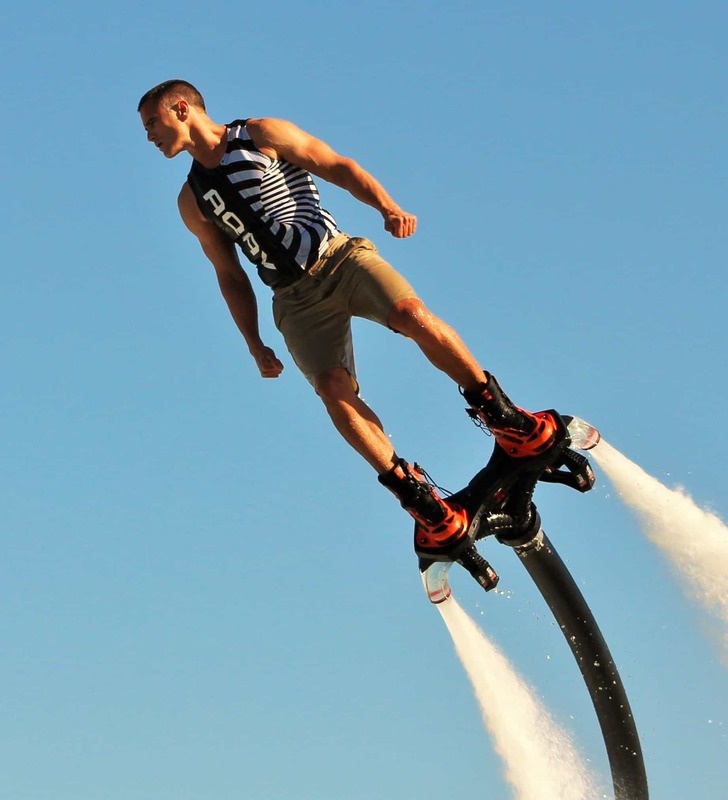 We offer flyboard, hoverboard, and jetpack shows in swimming pools, ocean bays, lakes, arenas, and man made pounds. Wether you want a professional flier demo or want us to offer your whole group a flight experience, we have you covered! 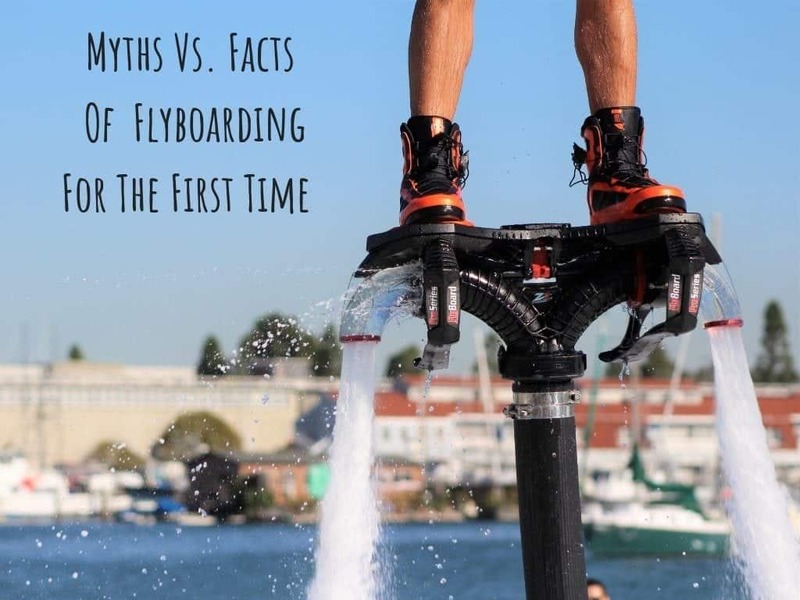 Learn about the Myths Vs Facts of Flyboarding for the first time flyers! 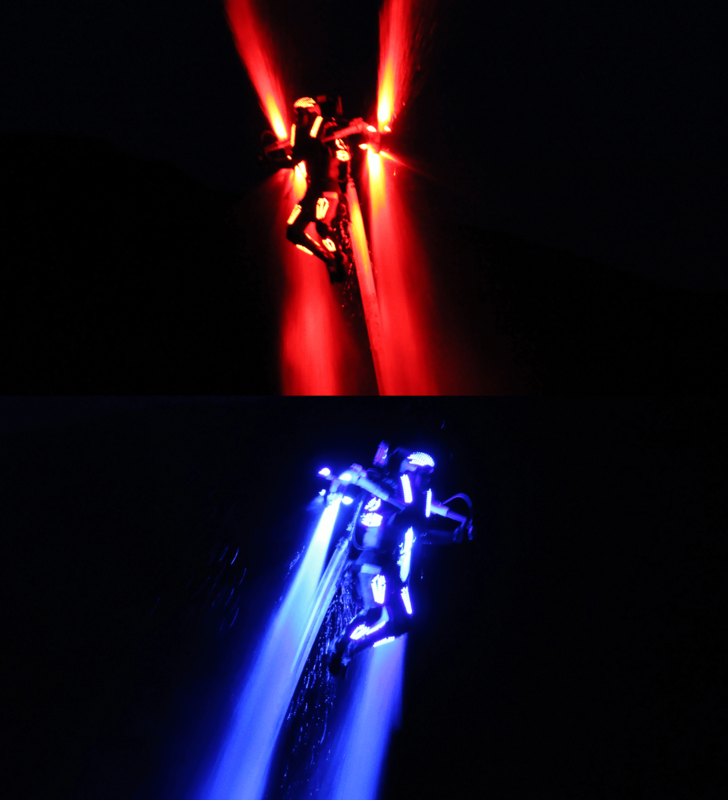 The Flyboard is a PWC (Personal Water Craft) accessory that once installed allows a user to elevate a person up to 45 feet in the air using water jet propulsion technology. It is by far the most fun you can have on the water and is great for men or women from ages 15-70! 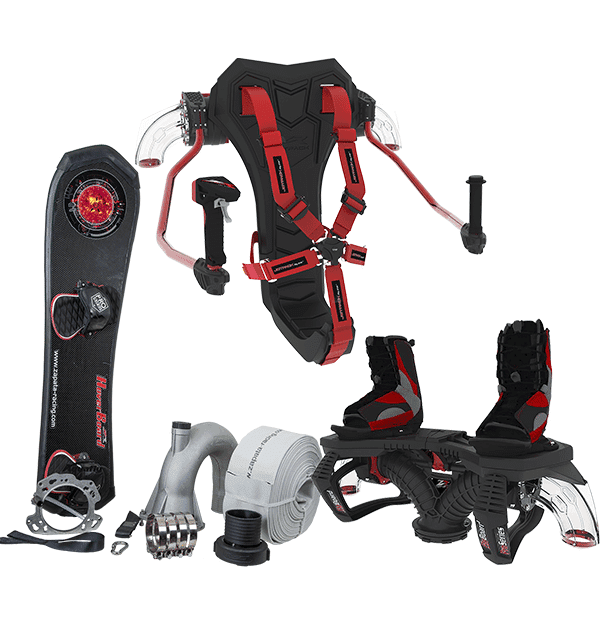 The Flyboard is compatible with most Yamaha, Seadoo, Kawasaki, and Honda PWCs 10 years or younger. Installing the Flyboard can be done in less than an hour and is done by removing the breaking system, reduction nozzle, turning nozzle, and attaching the Universal Pump Interface using an adapter kit. Want to go back into jet ski mode? No Problem! We offer an accessory called the Quick Nozzle that allows you to switch back and forth from Jet Ski mode to Flyboard mode in seconds! 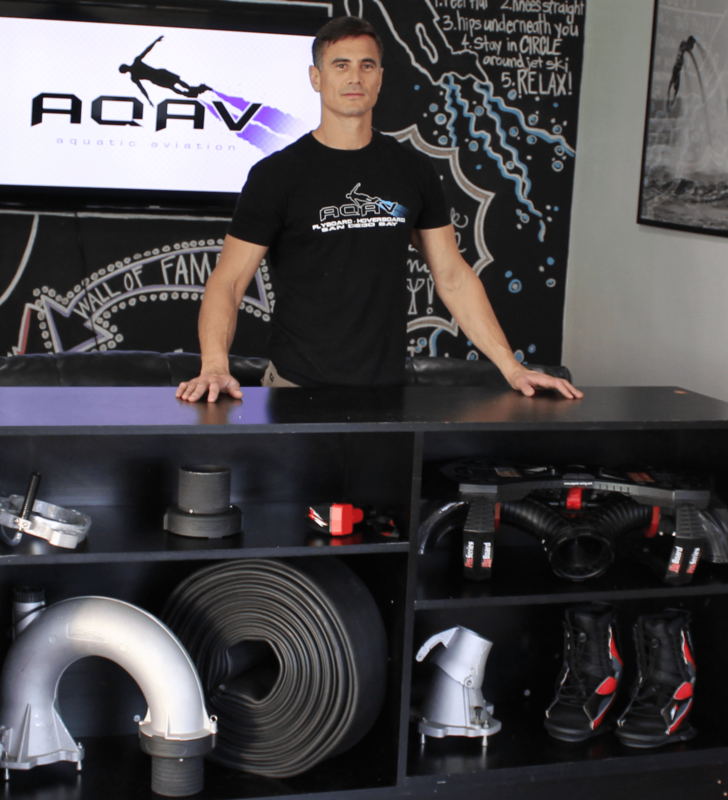 We introduce to you the newest product to hit the Aquatic Aviation industry! The Hoverboard by Zapate Racing has gained tremendous growth to include over 500 sales since it’s release to the United States in just July! The Hoverboard is made out of carbon fiber and the mechanics are similar to a snowboard, surfboard, wakeboard, or longboard. The Hoverboard is designed to move in a forward motion reaching speeds up to 25 MPH and heights of 30 ft. So far, the learning curve has been very similar to the Flyboard in that we have successfully taught first time riders in 3-7 minutes. The Hoverboard has a pair of Kiteboarding foot straps that are attached to the board allowing the rider to adjust how tight or loose they want their straps. The Hoverboard is adaptable with most Yamaha, Seadoo, Kawasaki, and Honda PWCs 10 years or younger, sharing the same compatibilities as the Flyboard. Installing the Hoverboard can be done in less than an hour and is done by removing the breaking system, reduction nozzle, turning nozzle, and attaching the Universal Pump Interface to the PWC using an adapter kit. Want to go back into jet ski mode? No Problem! We offer an accessory called the Quick Nozzle that allows you to switch back and forth from Jet Ski mode to Hoverboard mode in seconds.